Good collaboration within the truck equipment industry can be a game changer. Tom Funk, principal engineer at Muncie Power Products in Tulsa, is excited about the results of a recent joint project between Muncie Power Products and Ford Motor Company. "> Ford Game Changer Good collaboration within the truck equipment industry can be a game changer. As Ford began work on some upcoming product changes, the major truck manufacturer wanted input from Muncie Power Products. “In the past, Ford used their 6R140 transmissions on the F350-F550 trucks and the Allison 3000 transmission on the F650 and F750 trucks. Now, in 2016, they want to provide an all-Ford package by using the 6R140 across the entire F350-F750 family,” Funk said. The evolution, however, creates some challenges. “To continue to offer similar PTO performance for the F650 and F750, the PTO input torque would have to increase from 250 foot-pounds to 300 foot-pounds,” Funk explained. Because many Ford customers rely on Muncie Power products, the manufacturers collaborated during the testing process. “Ford used the Muncie FR66 PTO to validate the torque increase for their transmission. 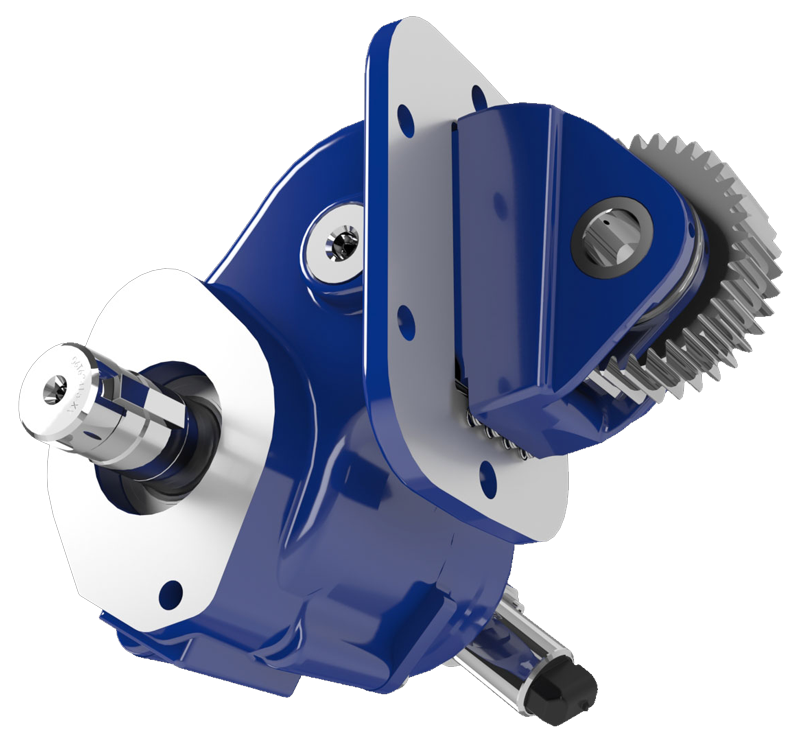 We wanted to continue to use our FR66 PTO for these higher torque applications since the fit, form and function were so similar to the F350-F550,” Funk said. Working together, Ford and Muncie Power Products wanted to push the power take-off limits to simulate operation in the field. Both manufacturers wanted to make sure the PTO would function with the Ford transmission in any probable working situation. The testing led to modifications. “We have modified the FR66 to work at the higher torque setting, and we will be designing a whole new product that will be more robust and handle a larger hydraulic pump,” he said. Although the market demand isn’t huge, a redesigned power take-off will help fill an important niche. “At the fall NTEA (association for the work truck industry) Conference in Detroit, it was decided we would spin off the augmented PTO model and call it the FR3C. The ‘C’ being the Roman numeral for 100, hence 3C = 300 foot-pounds,” he said. “We now feel that we have a robust PTO offering for the Ford F650 and F750 trucks,” he said. The testing with Ford will guide the redesign, and Funk expects the information the developers learned during the process will have practical applications for the future. “I think it could strengthen our entire product line,” he said. “I do believe some of the features will be able to be incorporated into other products as well." Based in Tulsa, Tom Funk is a graduate of Oklahoma State University (OSU) and OSU Institute of Technology, holding a bachelor’s degree in engineering and an associate degree in manufacturing technology. Funk also holds an associate degree in airframe and powerplant technology from Spartan School of Aeronautics. He and his wife, Ranae, enjoy traveling. Funk relaxes by doing metal-working, woodworking and building his own 3-D printer.